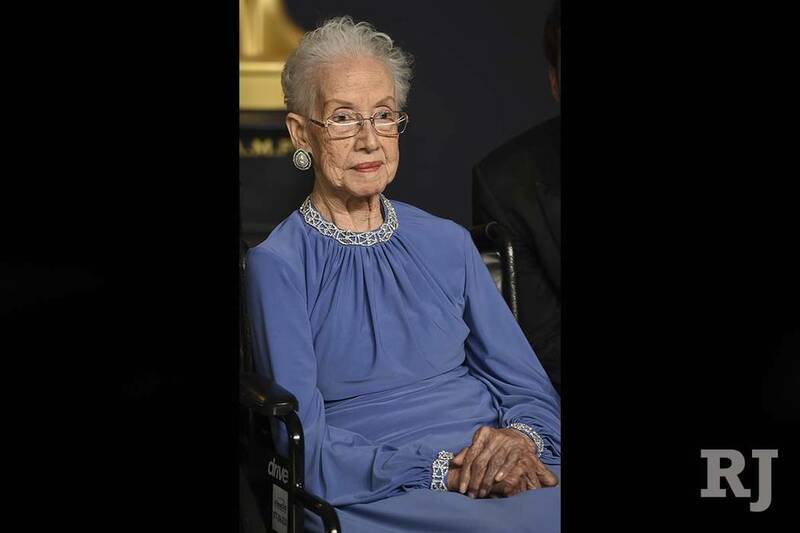 INSTITUTE, W.Va. – West Virginia State University has NASA mathematician Katherine Johnson with a bronze statue and fellowship dedication on the eve of her 100th birthday. Six of Johnson's grandchildren unveiled the statue during a Saturday ceremony on the West Virginia State campus in Institute. The university also awarded a scholarship in Johnson's name to two students, focusing on science, technology, engineering and mathematics. 00 on Sunday. She graduated in 1937 at the age of 18 with bachelor's degrees in mathematics and French. Johnson and three other women crunched numbers at NASA's Langley Research Center in Hampton, Virginia. They worked in the pre-computer age and calculated rocket trajectories and orbits for the earliest American spaceflights. Johnson was featured in the book and 2016 movie "Hidden Figures".